The cooking show host Guy Fieri once said, “Food is not just eating energy. It’s an experience.” Experiencing the joy of a phenomenal juicy burger is one of the best feelings ever! Burgers have come a long way since their inception in 1880. The beef patty pressed between two slices of bread now can be found in different styles and flavors including turkey burgers and veggie burgers for those who choose a meatless lifestyle. Whatever your idea of the perfect burger is, one thing remains constant. The construction. Homemade baked buns, savory patties, with fresh veggies, and finally… the cheese. The iconic combo always makes me hungry. 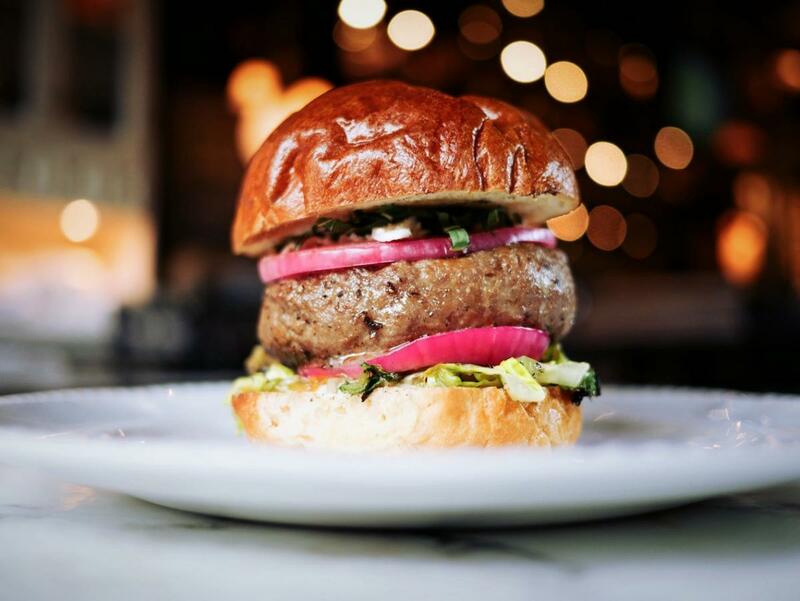 When hanging around the many cities of the east coast area, you might find yourself searching for the best burgers in Brevard County. Consider your search over. The fact that this American restaurant in Melbourne has been serving the community since 1952 has gained my trust. Everything in this classic burger joint is old school. When you step inside, you'll be instantly transported back to the 50s. You’ll notice the vintage decors, the Marilyn Monroe and Elvis Presley posters are right in front of you when they take your order. Their standard American style burgers are made fresh to order with a juicy hamburger patty melding perfectly with melted cheese making it so hard to resist. Word on the street is that this is the best burger in town, but you will have to be the judge. A perfect spot for the locals. The Burger Place located in Downtown Melbourne quickly grabs your attention with the bright yellow and blue colors adorning their storefront. Inside you'll find vintage style barstools and booths mimicking the same color scheme as the outside. The Burger Place offers their burgers with well-toasted buns, a juicy patty and your choice of toppings. You’ll also get some crispy fries on the side, yum! If you prefer to dine al fresco, they have an outside area where you can sit and enjoy a nice breeze while you bite down on your burger. Coasters is that place where everyone goes to watch the game. Not only does the sports-centric ale house serve hearty American burgers, they also have one of the best selections of craft beer in Melbourne. Inside of the restaurant, you'll find a casual environment with a fully stocked bar, TVs, and a pet-friendly outdoor seating area. They have a wide variety of food and drinks, burgers, pretzel, sandwiches and fresh seafood for starters. Swing by with friends or belly up to the bar and watch the game. Planning on going to the beach in Melbourne? Don’t forget to stop by this Billie's! The outdoor seating sandwich shop in Melbourne is located right next to the beach. The perfect location offers a scenic view of the ocean as you dine on quality burgers, crispy fries, and their famous steak sandwich. It’s like picnicking at the beach, except that Billie’s prepares your food. To top it all off, the price is super affordable! Next time you’re around the area for a wonderful beach day stop by Billie's for a few burgers in Melbourne Beach. There are many more great restaurants in the city, you just need to discover them and decide where to go. These are just a few of the drool-worthy burgers in Brevard County. If you have a favorite restaurant in Brevard County that serves a fantastic burger tell us in the comments below and we'll add it to the list. Find more restaurants in Brevard County by subscribing to 321area, It's free.